The Antares Listed Property Fund is a long only portfolio of Australian listed property and property related securities. The Fund's objective is to outperform the S&P/ASX A-REIT Accumulation Index (before fees) over a rolling 5 year period. Brett is the Portfolio Manager of the Listed Property Fund and Deputy Portfolio Manager of Dividend Builder. He is also responsible for researching stocks in the Listed Property and Infrastructure sectors. Vikrant is an Investment Analyst in the equities team. He is primarily responsible for researching stocks in the Real Estate, Retail and Developers and Contractors sectors. The Fund is an actively managed portfolio that primarily invests in property securities that are listed (or expected to be listed) on the Australian share market. The Fund may also invest in listed Australian companies that operate in the property industry such as listed property development and funds management companies, as well as listed infrastructure companies, where the income and assets are property-related in nature. The Fund’s objective is to outperform the Benchmark (before fees) over a rolling five-year periods. 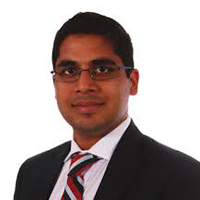 08 Oct 2018 - Antares Equities Listed Property Fund Analyst and Deputy Portfolio Manager, Vikrant Gupta talks what discretionary retail and shopping centres stocks to watch and what to expect. 04 Oct 2018 - Antares Portfolio Manager, Brett McNeill on how to evaluate property company's results, which real estate investment trusts (REITS) Antares likes and why and what stocks to avoid. 19 May 2016 - Antares Listed Property Portfolio Manager Brett McNeill discusses the nature of the Listed Property Market, where it has come from, how the portfolio is positioned and where he sees it going. 03 Jul 2015 - Antares Listed Property Fund Portfolio Manager Brett McNeill explains the funds strategic approach to investing in property stocks. 14 Nov 2014 - Antares Listed Property Fund Portfolio Manager Brett McNeill details how the fund aims to secure returns from listed property stocks. 21 May 2014 - Antares Listed Property Fund Portfolio Manager, Richard Colquhoun outlines how the fund achieves capital growth from listed property stocks.